"Who Owns the News? 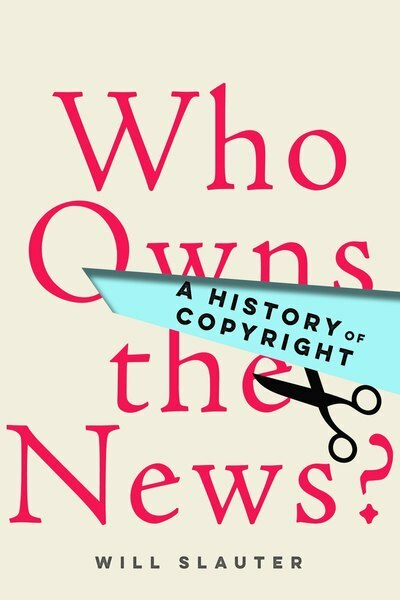 A History of Copyright"
Quality journalism is expensive to produce but easy to copy. News is vital to democracy but difficult to control. These problems are not new, as Will Slauter shows in his book, Who Owns the News? A History of Copyright (2019). A former AAS-NEH fellow, Slauter will return to Antiquarian Hall to present a lecture based on his new book. 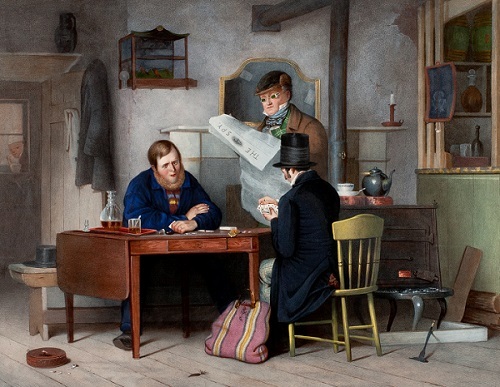 The lecture will focus on the nineteenth-century United States, when changes in the technology, business, and culture of news led publishers and press associations to begin to claim property rights in news. Court cases and legislative proposals to extend copyright to news led to heated debates about how changes in the law would affect public access to reliable information. Arguments first developed in these nineteenth-century contexts continue to resonate today. Drawing on research conducted at AAS, Slauter will explore the little-known history of copyright for journalism. Will Slauter is an associate professor at Université Paris Diderot and a member of the Institut universitaire de France. His research interests include the history of authorship and publishing, the history of journalism, and the history of copyright law. He is the author of Who Owns the News? A History of Copyright (2019).